The always running, generally relatively quiet ventilator unfortunately produces louder sounds in higher frequencies and therefore is clearly perceptible then. 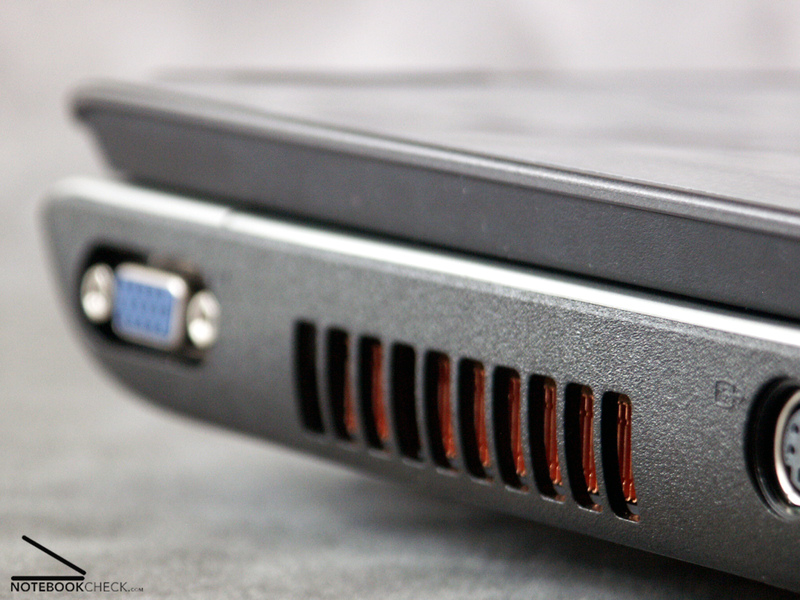 We did not succeed to calm the ventilator down with minimum performance adjustments (CPU, video card frequency). Under load it switches late to level 2, which however is not much louder and remains there permanently. Positive: various useful tools, like for example a tool for reducing the speed of the DVD drive assembly (this becomes noticeably more silent) are provided. The Harman/Kardon speaker could convince. A seperate subwoofer would be advantageous. 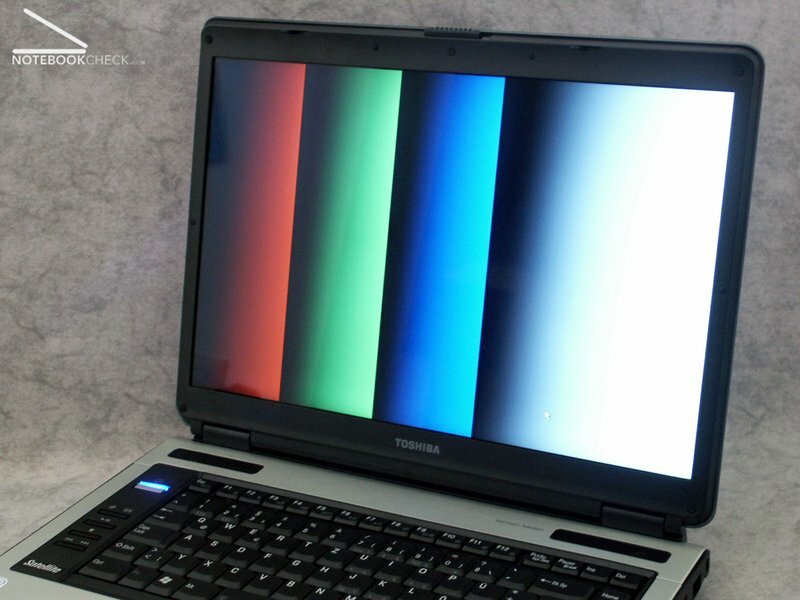 The test of the creation of cloudy stains resulted for a TFT display moderately (level 5 in the Pixperan test of readability). 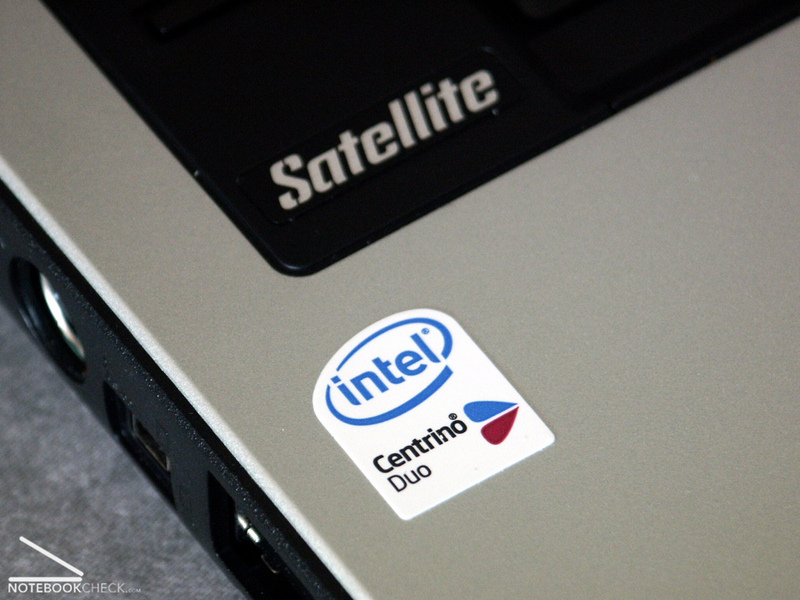 We waited for a long time until we got the first performance data of the Core Duo processor and ATI's newest video card generation, but apparently the waiting was worth. 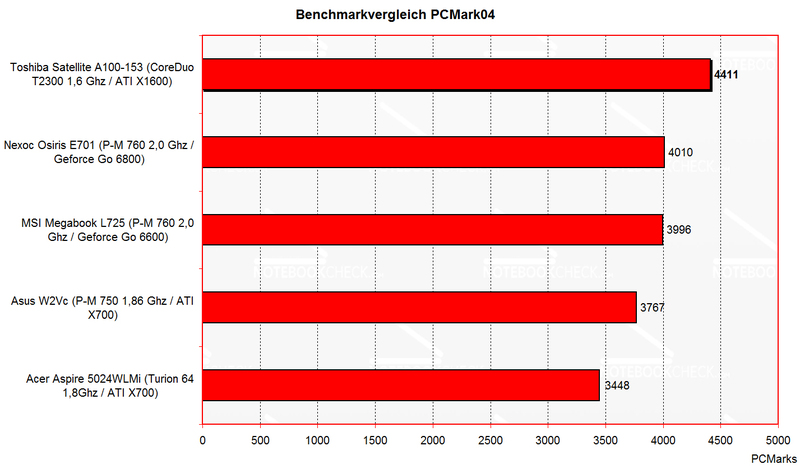 CPU and GPU show a clear increase in performance output. There will be no future withort the Core Duo technology. 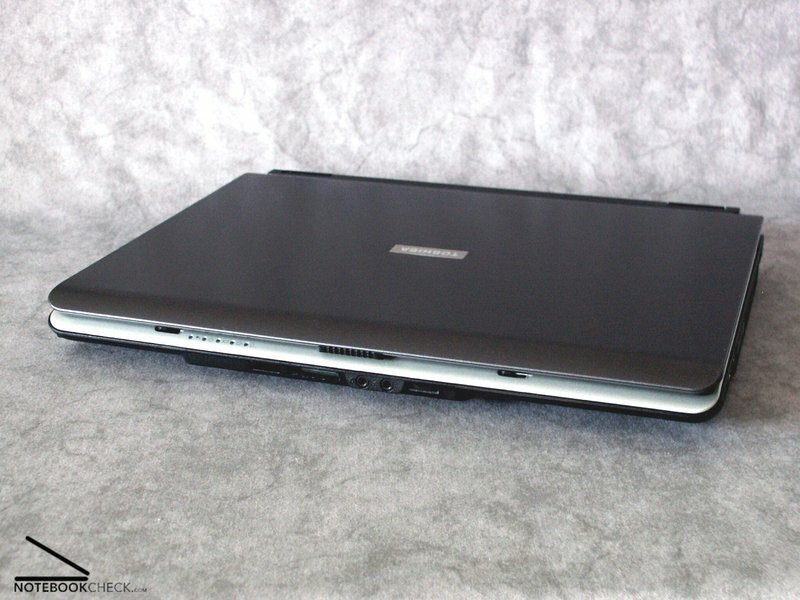 The Toshiba Satellite A100-153 presented itself as an adequate covering for the whole technical luxury. 1a quality of materials and workmanship are good arguments. 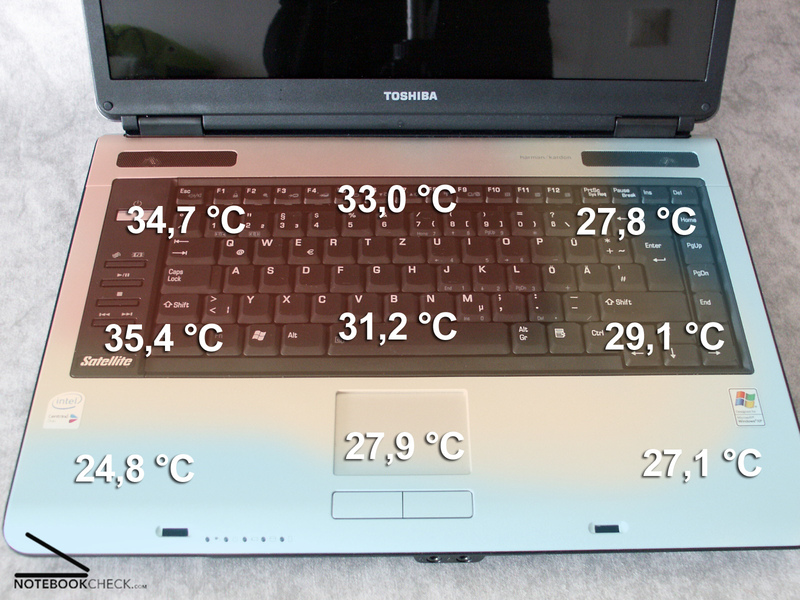 Apparently there are still problems with the cooling of the new CPUs and graphic cards, since we could observe the Toshiba Satellite A100 with always clearly perceptible ventilator. 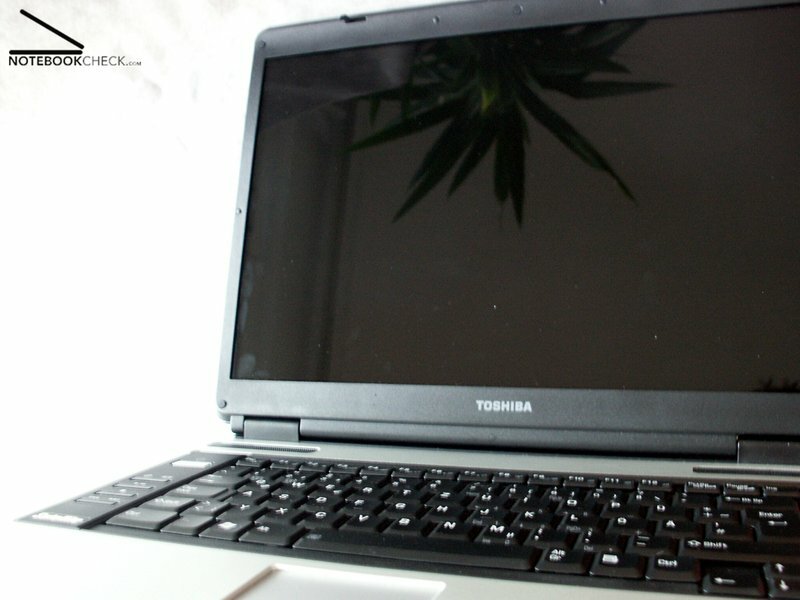 Particularly pleasing are the well-known Toshiba qualities like analogue volume regulation, hardware WLAN on/off switch and various software-tools, which simply make the life more pleasant. 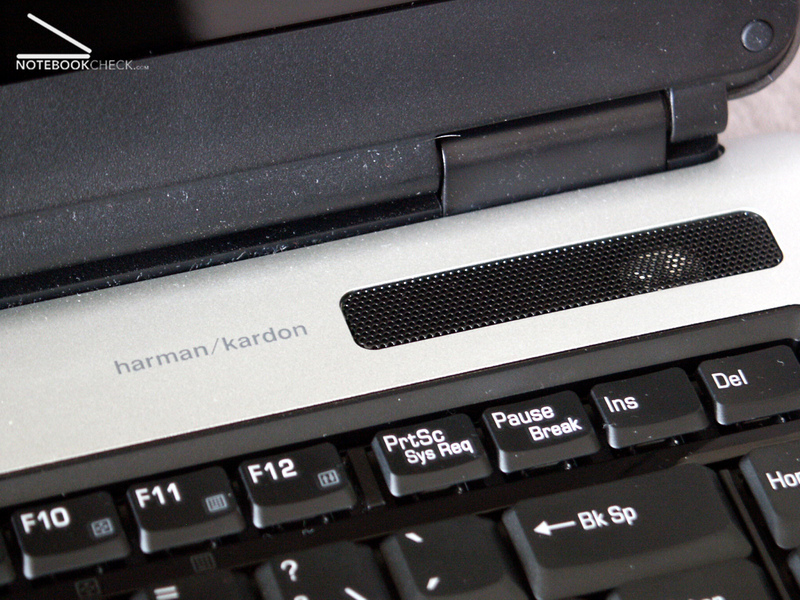 In addition there are fine Harman/Kardon speakers. Despite the low brightness of the display the measured running times are to be judged as rather moderate. 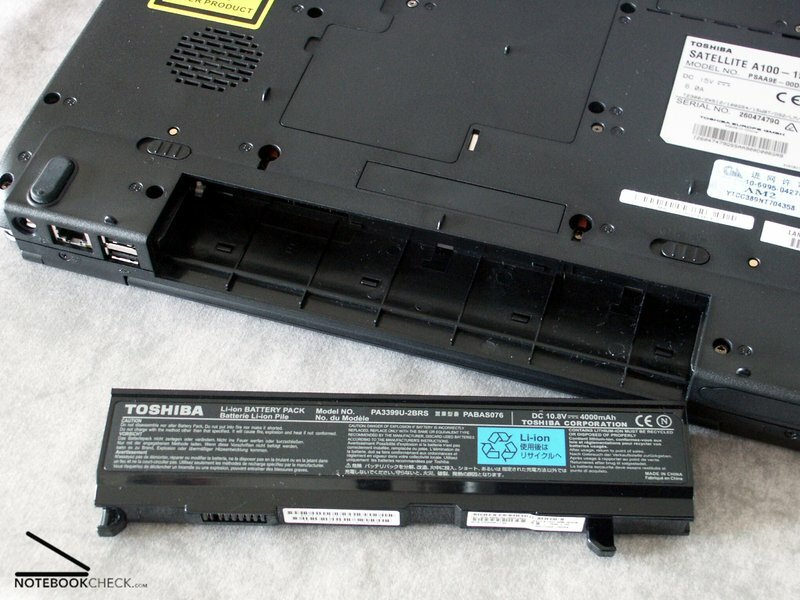 Every now and then a reason for that is the small 4000 mAh battery, but in addition the technical equipment of the Toshiba Satellite A100. The point of view stability is sufficient in the horizontal range. Within the vertical range there occur considerable color distortions with a too close viewing angle from above. During normal work there should be no impairments. 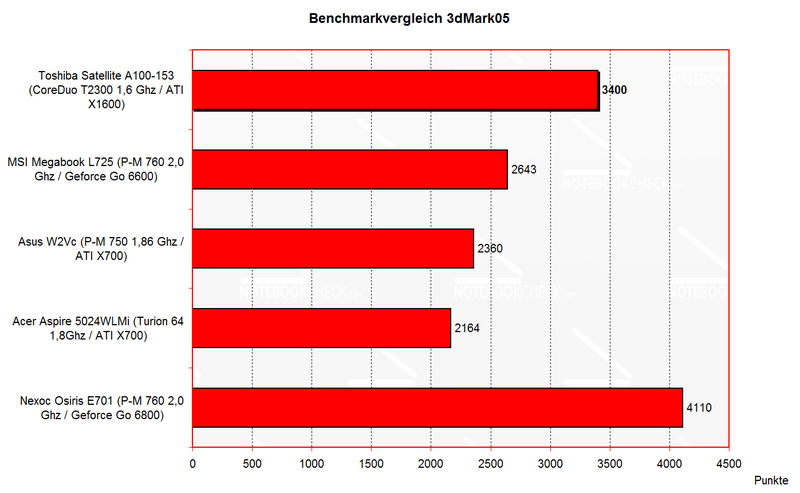 With the comparison of the bench mark PCMark04 the power of the dual core processor becomes clearly evident. 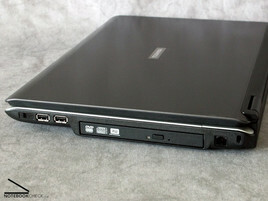 The inserted Core Duo T2300 with 1,66 Ghz resulted in the test about 10% more performance than a Pentium M 760 with 2.0 Ghz owing to the second core . Also the ATI X1600 scores very well. 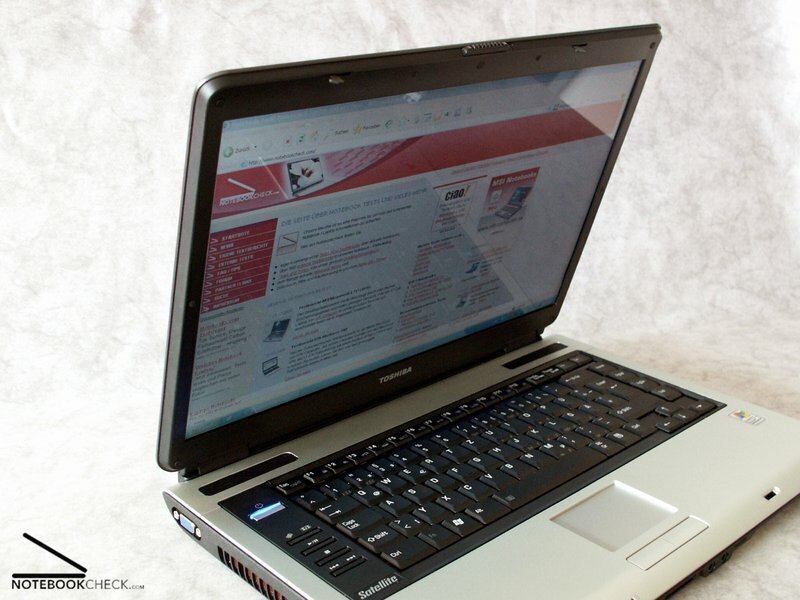 With the bench mark test 3DMark05 the Toshiba Satellite A100-153 gets on the top of comparable ompetitors and delivers approximately 30% more performance with the Core Duo CPU. 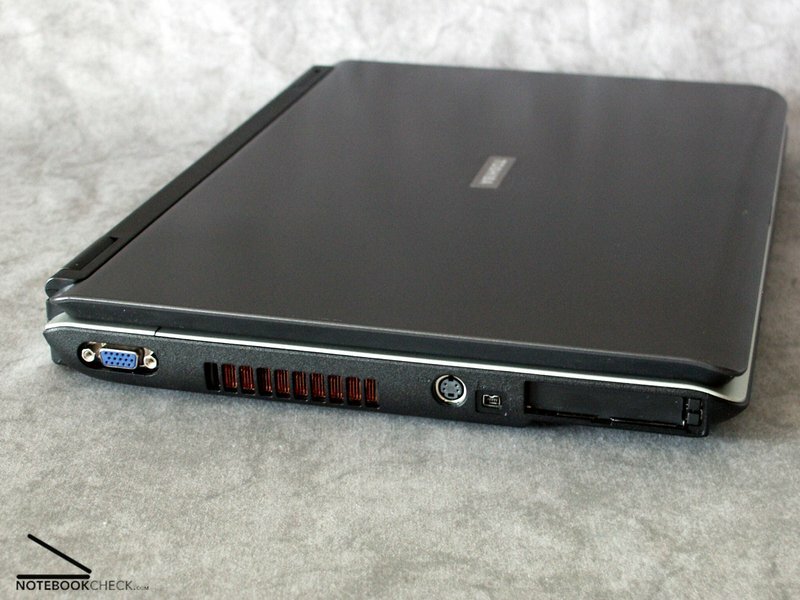 However, to the power ratings of a Geforce Go 6800 as a representative of the performance-group 1 in our comparison of mobile graphics cards, the X1600 does not approach. With a resolution of 1280x800 and all details on high between 20 and 30 fps were amounted in a bot-match. After a long periode we got the pleasure to stare into that all-side well-known bluescreen. The reason for that was probably the very current graphics card. Nonetheless then the game ran perfectly with average 60 fps with all settings on high and highest possible resolution (1280x800). 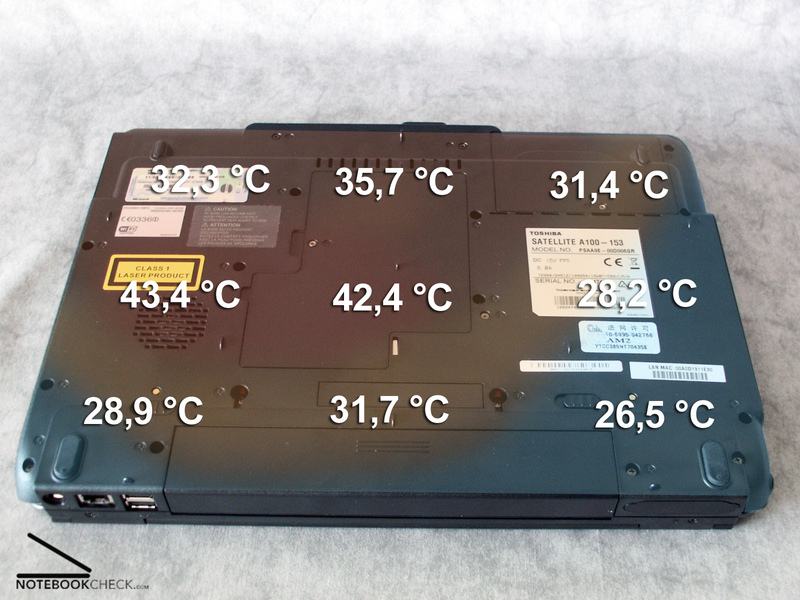 The heat development during surfing per WLAN is very moderate. The case hardly heats up and remains very pleasant while using. Even under full load the Toshiba Satellite A100 remains surprisingly cool. Particularly the hand editions hardly heat up. 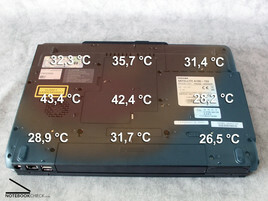 At the bottom of the laptop a maximum temperature of 43.4°C was measured under load. 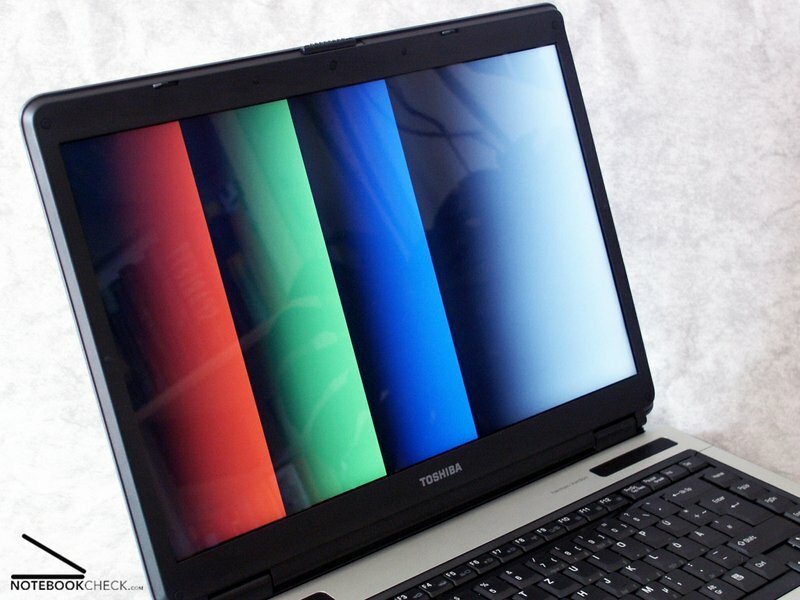 Das Display des Toshiba Satellite A-100 153 entpuppte sich im Test als etwas Leuchtkraftschwach. Maximal gemessen werden konnten lediglich 109,5 cd/m². Dieser Wert reicht zwar zum Arbeiten in geschlossenen Räumen, bei ungünstigen Lichtverhältnissen oder direkter Sonneneinstrahlung kann es jedoch zu Beeinträchtigungen kommen. Auch das verbaute spiegelnde Display trägt dabei nicht unbedingt positiv bei. 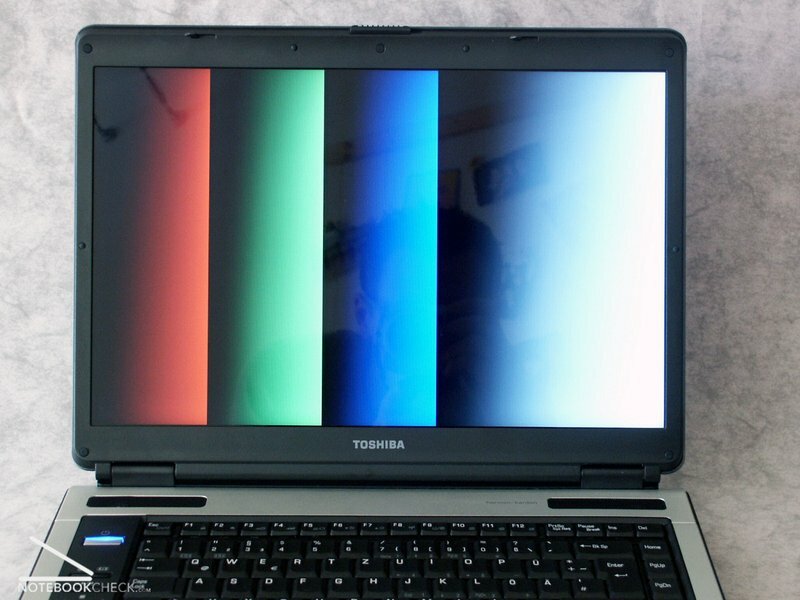 The display of the Toshiba Satellite A-100 153 resulted a poor luminosity in the test. The measured maximum was only 109.5 cd/m². This value is sufficient for working in closed rooms, with unfavorable lighting conditions or direct sun exposure impairments will be the consequence. 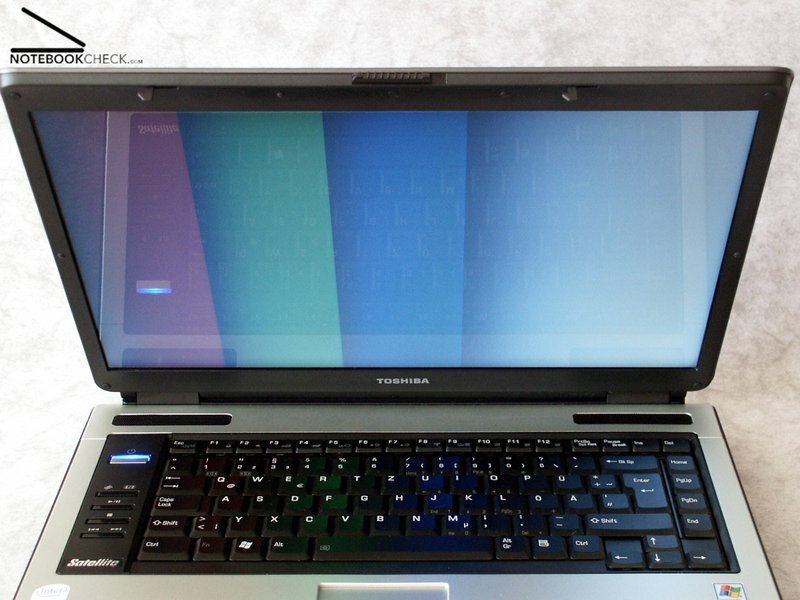 Also the used reflecting display does not contribute positive arguments. Nevertheless the illumination of the display was extremely good with 86 %. The Toshiba Satellite A-100 153 offers a keyboard of normal size for 15 inch laptop. 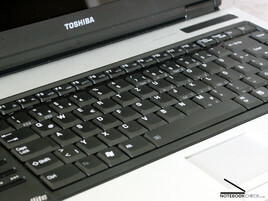 The keys are somewhat wobbly and offer a soft feeling during writing. Nevertheless I could tap pleasantly and error free with it. Unfortunately the entire keyboard bends easily through when tapping. The key arrangement succeeded well. 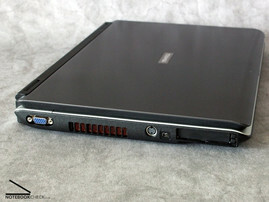 One does find fast the wished key in every case and with the "10-finger system" don't occur mistakes. 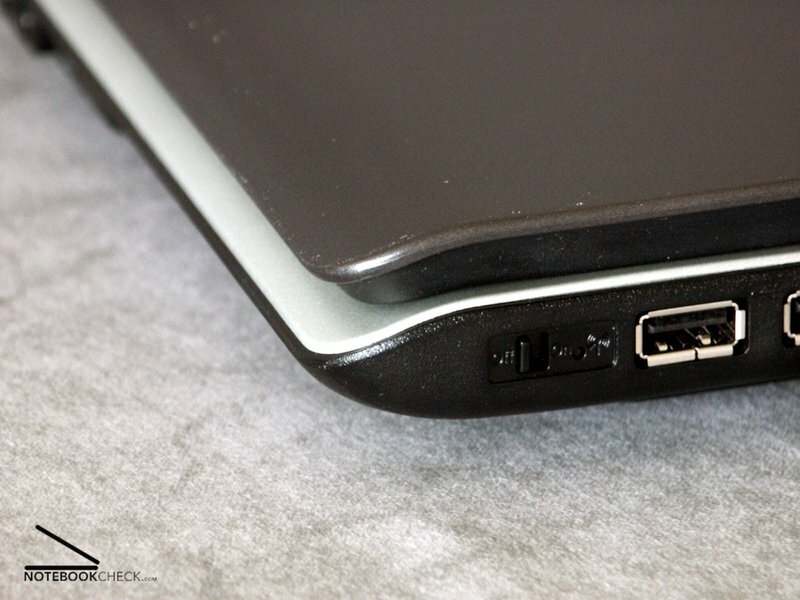 The touchpad and the touchpad-keys are to be served pleasantly. 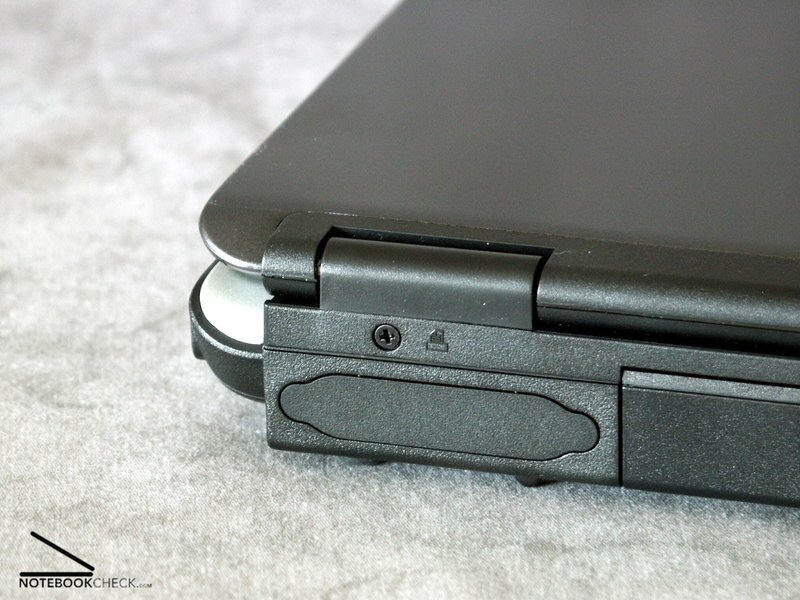 It can be mentioned that the touchpad is inserted somewhat too deep in the case and therefore the finger is stopped again and again by the edge. 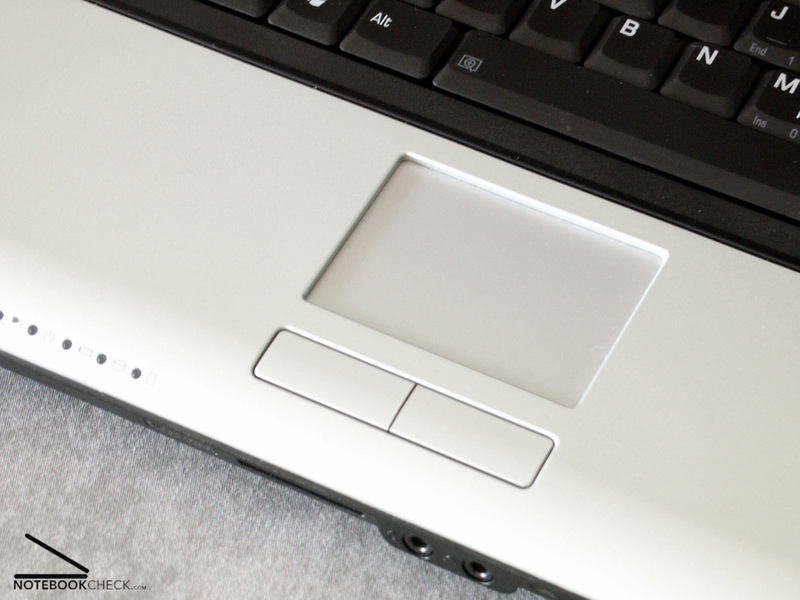 Beyond that the inserted touchpad will accumulate dirt and dust. 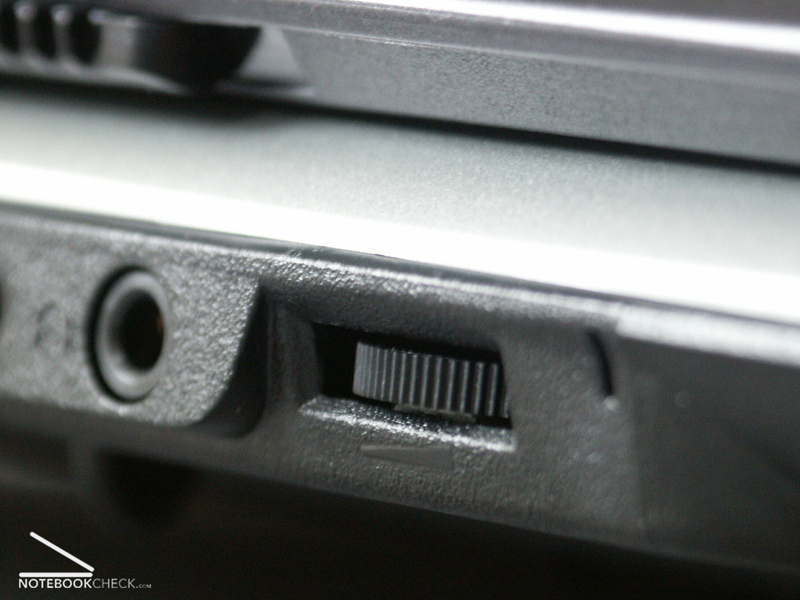 A well-known nice Toshiba feature: the volume is adjusted at the front by an analogue turnable regulator and there is a switch for WLAN in the left front. 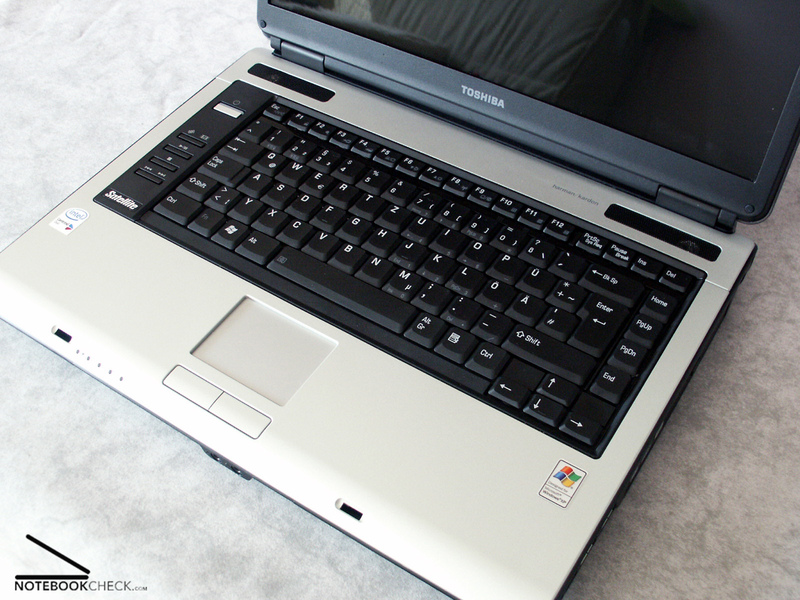 The Toshiba Satellite A-100 153 leaves an extremely high-quality impression. 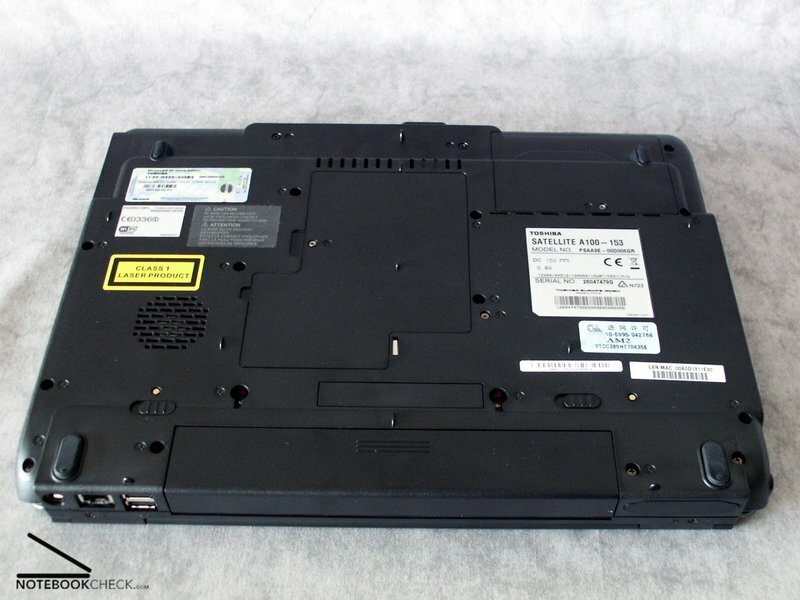 The chassis is very solidly processed and hardly any places are to be found, which tortion with pressure. 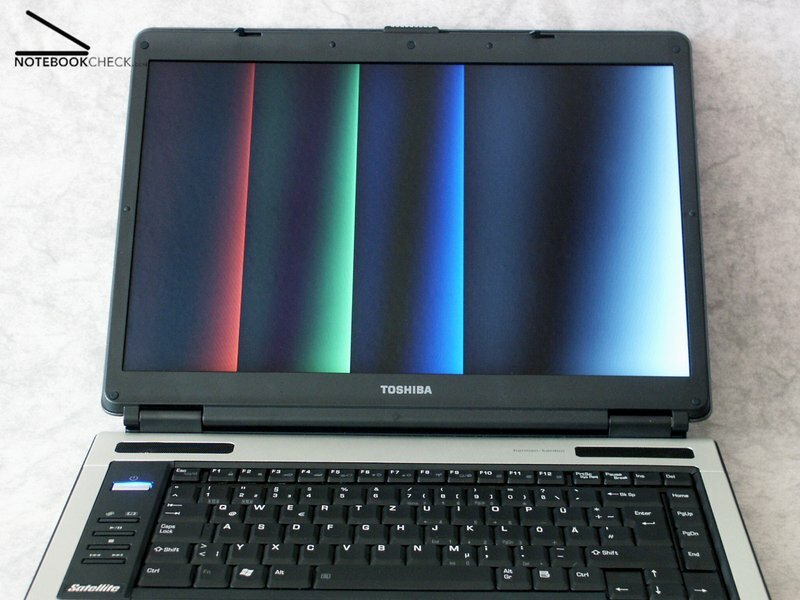 If one presses too strong upon the display cover, sometimes color distortions at the display may occur. However this should be hardly relevant in practice. 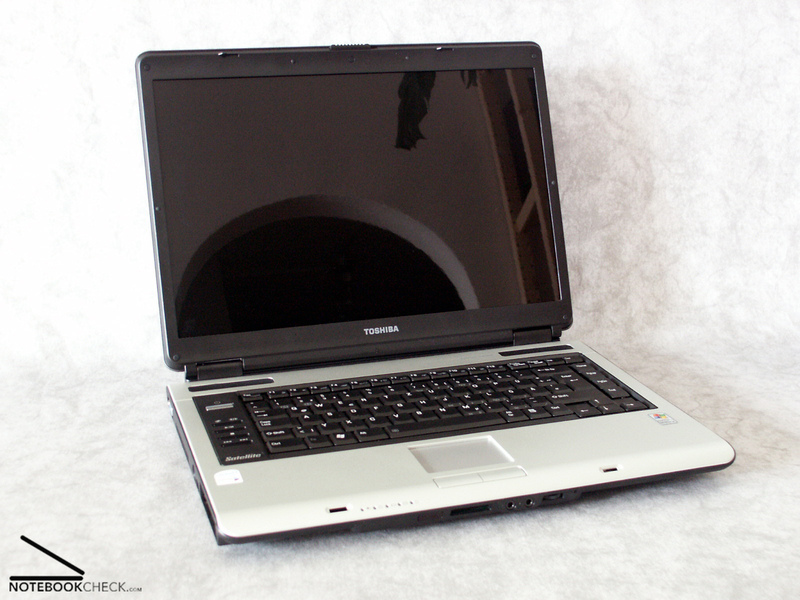 With measured 2,8kg the Toshiba Satellite A-100 153 is pleasantly easy for a well equipped multimedia-notebook. 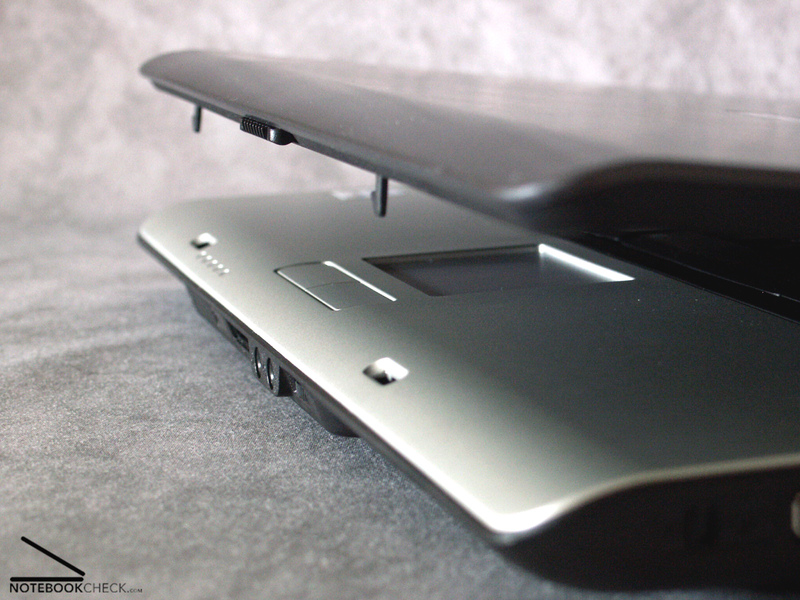 Exclusively high-quality plastics were used, whereby particularly the bottom demonstrates an everlasting impression. 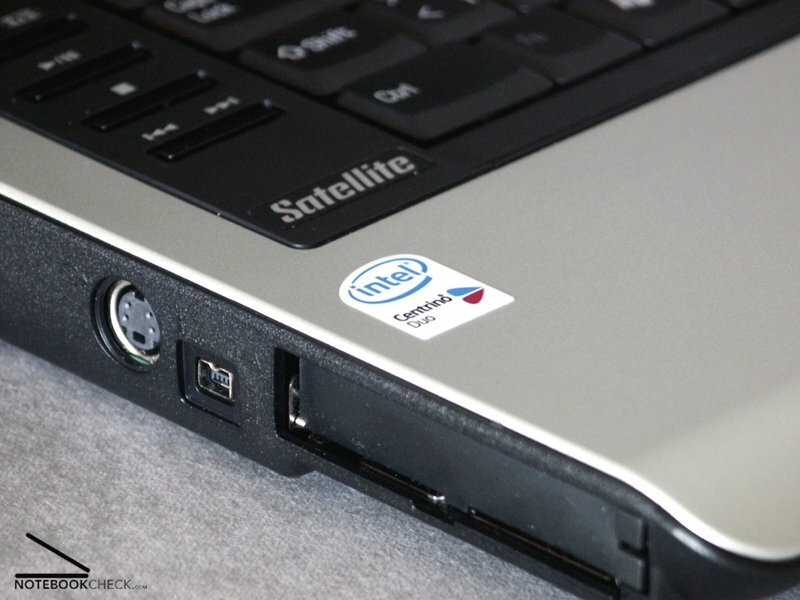 A pleasing outfit, color choice, an understandable and user-friendly layout are advantages of the Satellite A-100 153. 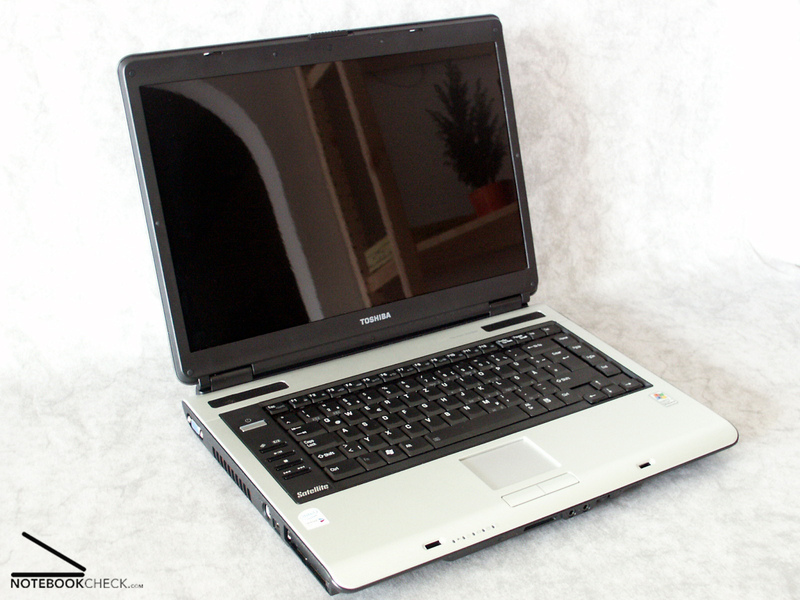 Detail: the Satellite A-100 153 is equipped with Harman/Kardon loudspeakers, which can quite convince according sound. 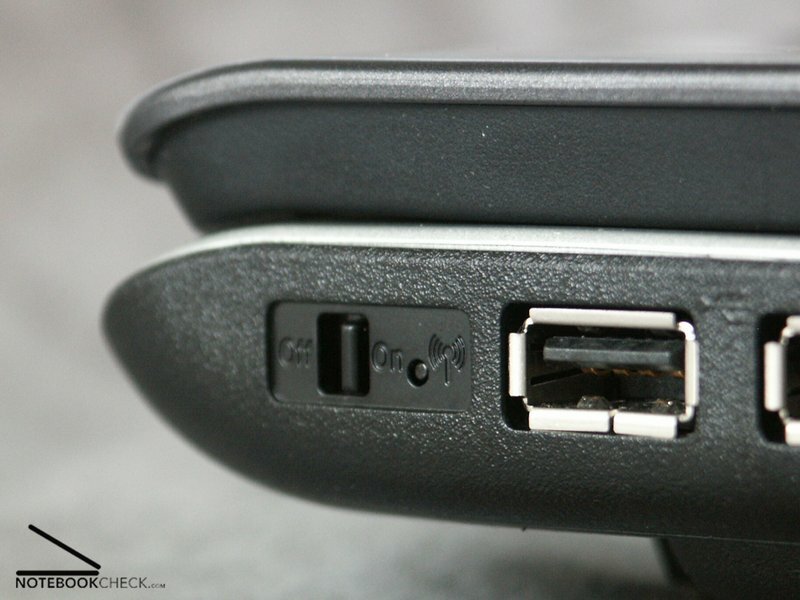 The connections are, according to our opinion, well distributed - possibly constantly occupied ports such as network, VGA, power connection and 2 USB 2.0 ports are concentrated at the left rear corner of the case and prevent thereby unnecessary cable salad. 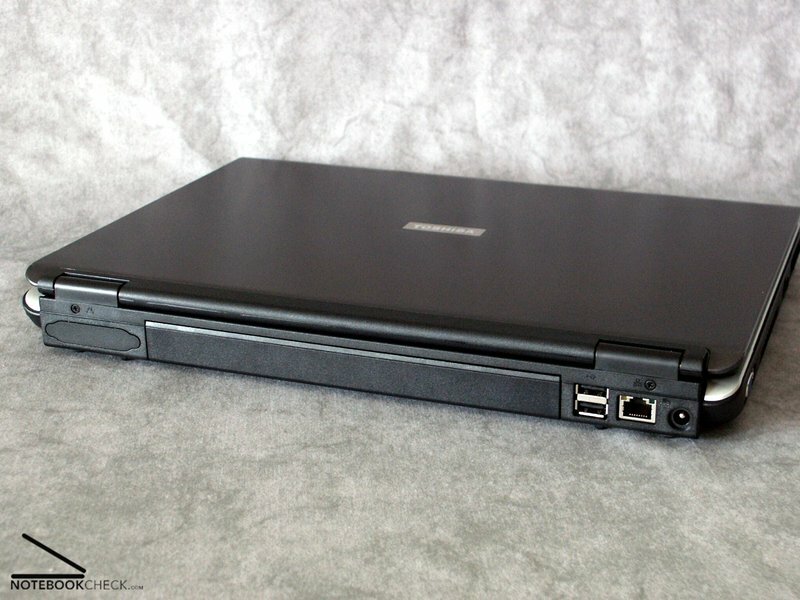 Only the audio in/out is in the front of the laptop - ideal for headphones, but problematic for the connection of an external sound system. 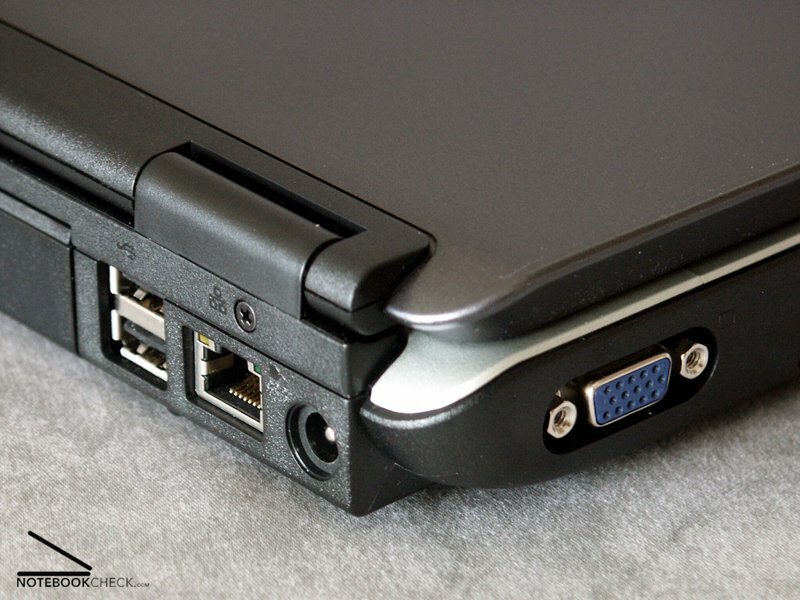 At the rear side of the notebook is free space for a parallel port, which however was not implemented with our test laptop. 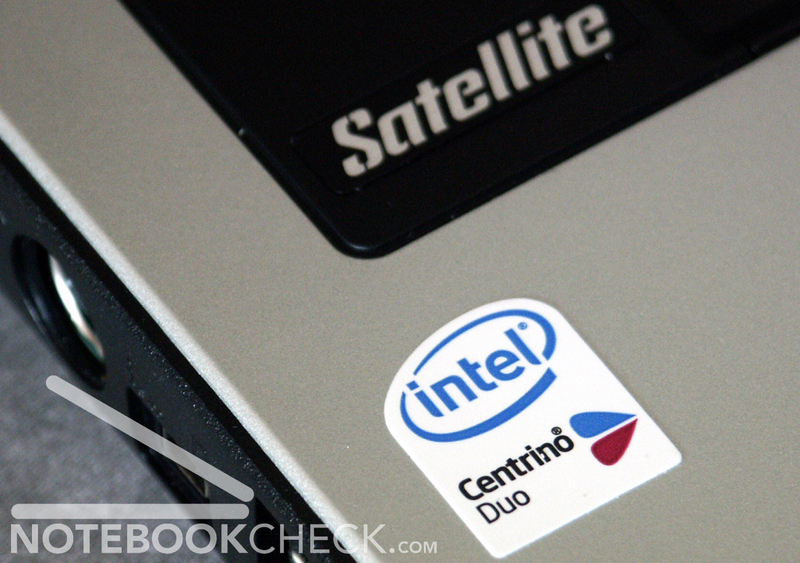 The first Notebook with Intel core duo processor and ATI X1600 passed our test! Enormous amounts of speculations over performance, emissions and current consumption arised the last weeks. 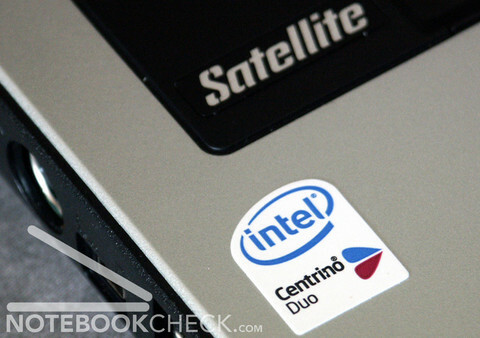 Read on Notebookcheck.com what's reality - how a core duo computer is compared with a Pentium M and how ATI's new video card generation is evaluated. Here are the current informations. The display showed a somewhat poor luminosity. 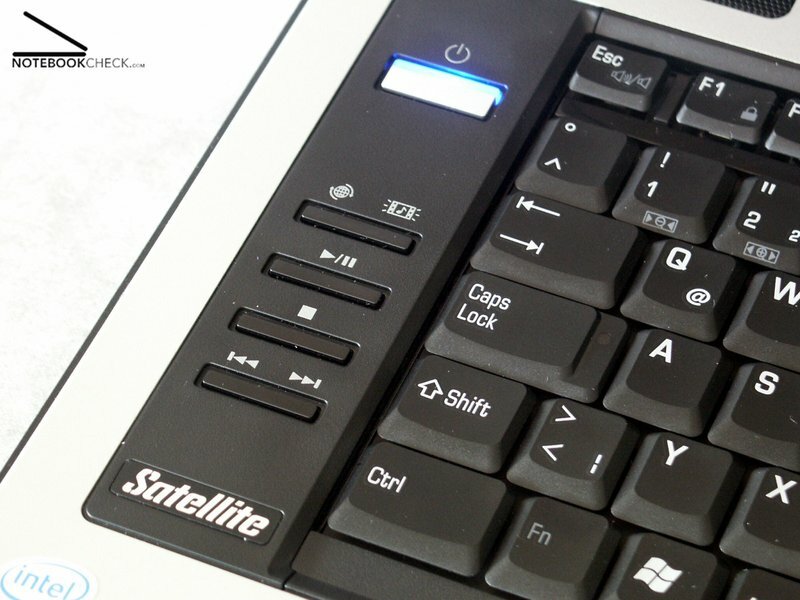 The keyboard felt well, but can be tortioned.